A Constraint is an immobile surface which can interact with particles via a non-bonded potential, where the distance between the two particles is replaced by the distance of the center of the particle to the surface. The constraints are identified like a particle via its type particle_type for the non-bonded interaction. After a type is defined for each constraint one has to define the interaction of all different particle types with the constraint using the espressomd.interactions.NonBondedInteractions class. Shapes define geometries which can be used in ESPResSo either as constraints in particle interactions or as a boundary for a lattice Boltzmann fluid. 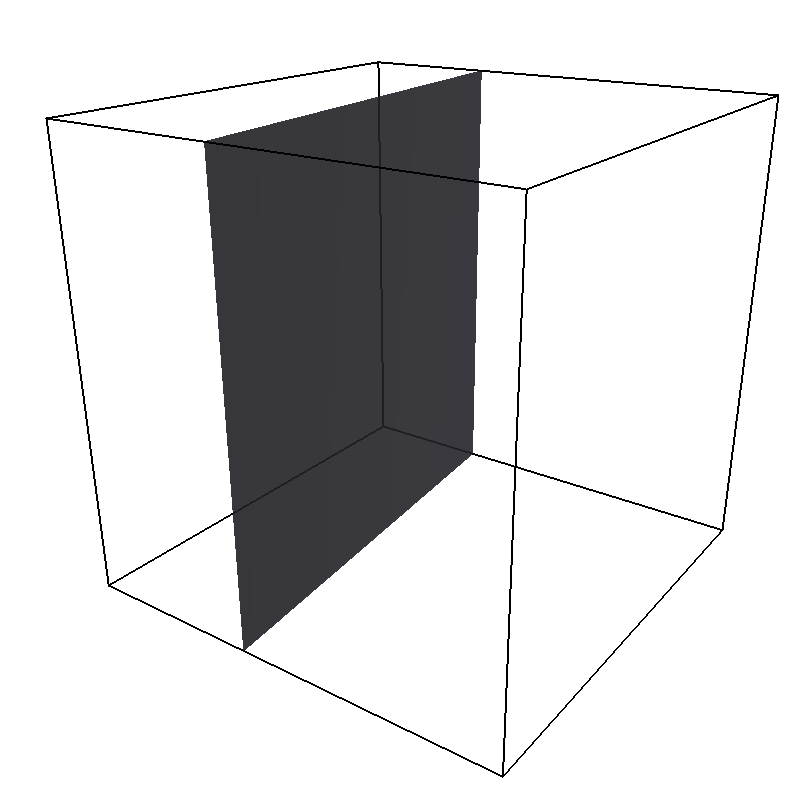 To avoid unexpected behavior make sure all parts of your shape are within the central box since the distance to the shape is calculated only within the central box. If parts of the shape are placed outside of the central box these parts are truncated by the box boundaries. This may or may not be desired as for example in the case of a cylinder without or with cylinder cover. Available shapes are listed below. The extra argument particle_type specifies the non-bonded interaction to be used with that constraint. There are two additional optional parameters to fine tune the behavior of the constraint. If penetrable is set to True then particles can move through the constraint. In this case the other option only_positive controls whether the particle is subject to the interaction potential of the wall. If set to False, then the constraint will only act in the direction of the normal vector. Interactions between the pore and other particles are then defined as usual (Non-bonded interactions). This command will delete the specified constraint. will print the shape information for all defined constraints. Returns the force acting on the constraint. Note, however, that this is only due to forces from interactions with particles, not with other constraints. Also, these forces still do not mean that the constraints move, they are just the negative of the sum of forces acting on all particles due to this constraint. Similarly, the total energy does not contain constraint-constraint contributions. Calculates the smallest distance to all interacting constraints that can be repulsive (wall, cylinder, sphere, rhomboid, maze, pore, slitpore). 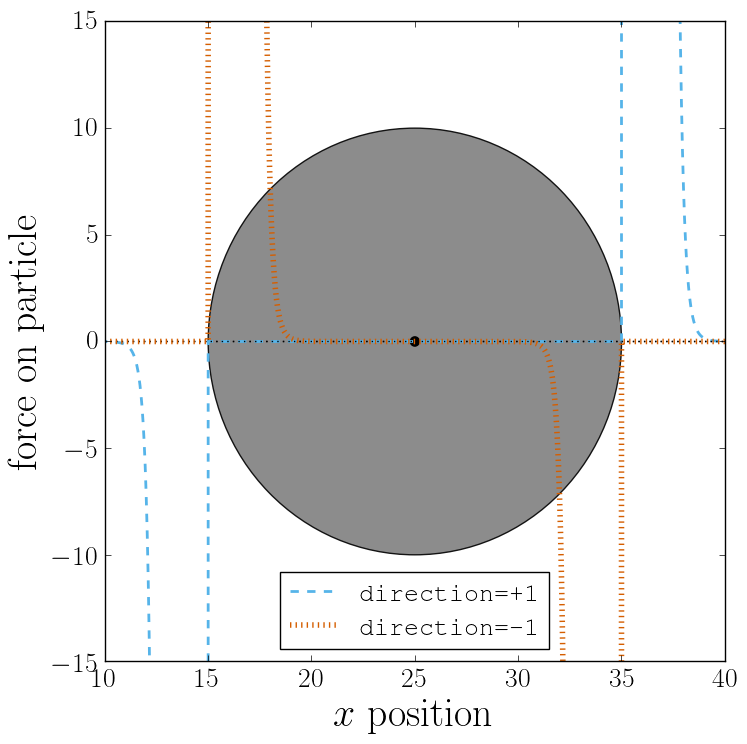 Negative distances mean that the position is within the area that particles should not access. Helpful to find initial configurations. <SHAPE> can be any of the available shapes. The surface’s geometry is defined via a few available shapes. The following shapes can be used as constraints. 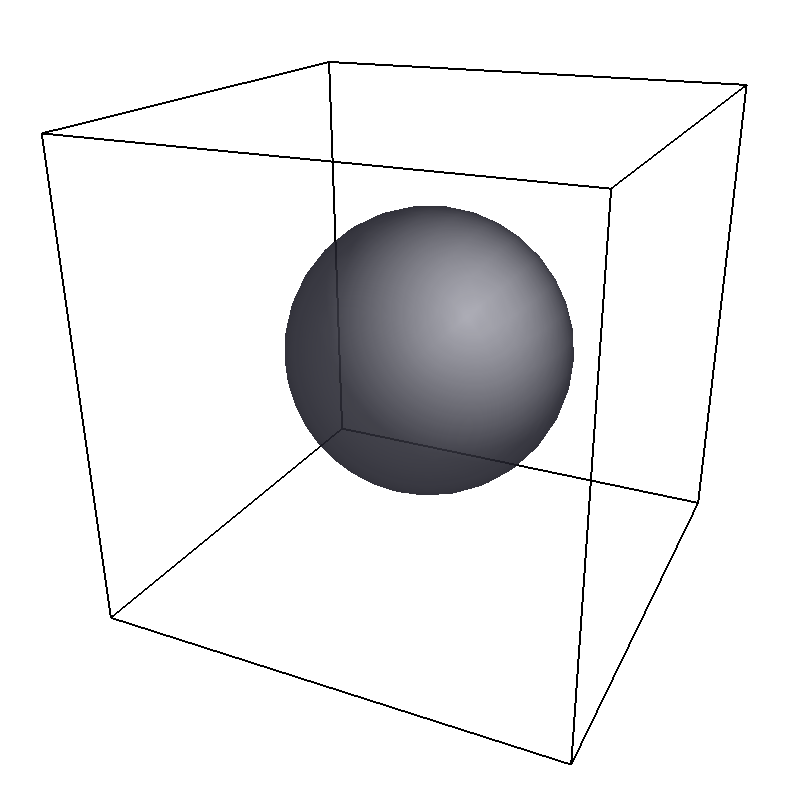 When using shapes with concave edges and corners, the fact that a particle only interacts with the closest point on the constraint surface leads to discontinuous force fields acting on the particles. This breaks energy conservation in otherwise symplectic integrators. Often, the total energy of the system increases exponentially. The resulting surface is a plane defined by the normal vector normal and the distance dist from the origin (in the direction of the normal vector). The force acts in direction of the normal. Note that dist describes the distance from the origin in units of the normal vector so that the product of dist and normal is a point on the surface. Therefore negative distances are quite common! In variant (1) if the only_positive flag is set to 1, interactions are only calculated if the particle is on the side of the wall in which the normal vector is pointing. This has only an effect for penetrable walls. If the flag is set to 1, then slip boundary interactions apply that are essential for microchannel flows like the Plane Poiseuille or Plane Couette Flow. You also need to use the tunable_slip interaction (see [sec:tunableSlip]) for this too work. The resulting surface is a sphere with center center and radius radius. The direction direction determines the force direction, -1 for inward and +1 for outward. The resulting surface is an ellipsoid of revolution with center center, semiaxis a along the symmetry axis and equatorial semiaxes b. The symmetry axis is aligned parallel to the x-axis. The direction direction determines the force direction, -1 for inward and +1 for outward. The distance to the surface is determined iteratively via Newton’s method. The resulting surface is a cylinder with center center and radius radius. The length parameter is half of the cylinder length. The axis parameter is a vector along the cylinder axis, which is normalized in the program. The direction direction determines the force direction, -1 for inward and +1 for outward. This shape is currently broken. Please do not use. The resulting surface is a rhomboid, defined by one corner located at corner and three adjacent edges, defined by the three vectors connecting the corner corner with its three neighboring corners: a [ax ay az ]; b [bx by bz] and c [cx cy cz]. The direction direction determines the force direction, -1 for inward and +1 for outward. creates a rhomboid defined by one corner located at [5.0, 5.0, 5.0] and three adjacent edges, defined by the three vectors connecting the corner with its three neighboring corners, (1,1,0) , (0,0,1) and (0,1,0). 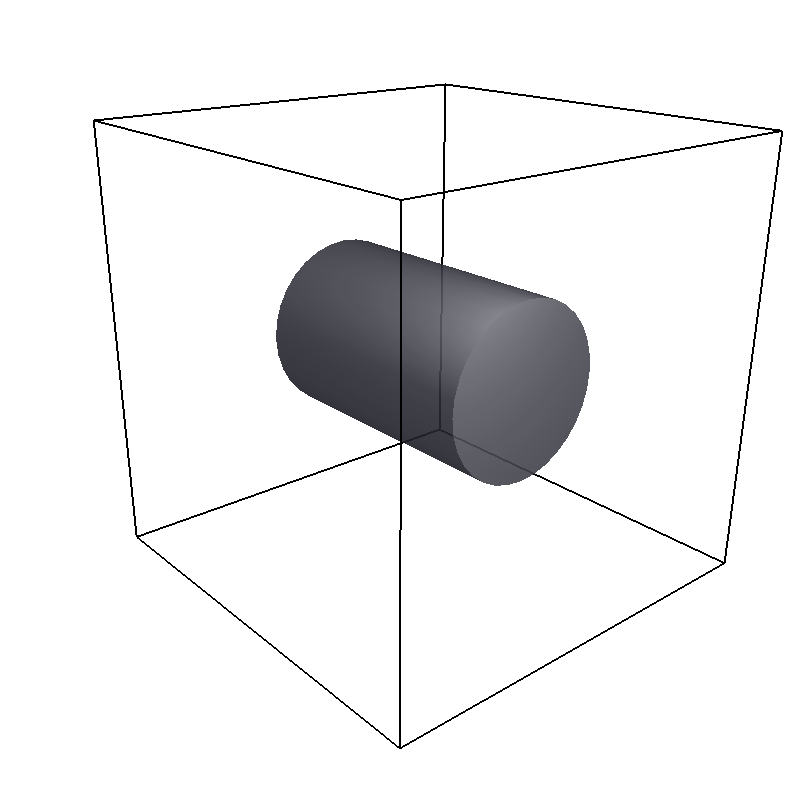 Two parallel infinite planes, connected by a cylindrical orifice. The cylinder is connected to the planes by torus segments with an adjustable radius. Length and radius of the cylindrical pore can be set via the corresponding parameters (length and radius). The parameter center defines the central point of the pore. The orientation of the pore is given by the vector axis, which points along the cylinder’s symmetry axis. The pore openings are smoothed with torus segments, the radius of which can be set using the parameter smoothing_radius. The resulting surface is a stomatocyte shaped boundary. This command should be used with care. The position can be any point in the simulation box and is set via the array_like parameter center. The orientation of the (cylindrically symmetric) stomatocyte is given by an array_like axis, which points in the direction of the symmetry axis and does not need to be normalized. The parameters: outer_radius, inner_radius, and layer_width, specify the shape of the stomatocyte. Here inappropriate choices of these parameters can yield undesired results. The width layer_width is used as a scaling parameter. That is, a stomatocyte given by outer_radius:inner_radius:layer_width = 7:3:1 is half the size of the stomatocyte given by 7:3:2. Not all choices of the parameters give reasonable values for the shape of the stomatocyte, but the combination 7:3:1 is a good point to start from when trying to modify the shape. The resulting surface is T-shape channel that extends in the z-direction. The cross sectional geometry is depicted in Fig. schematic. It is translationally invariant in y direction. The region is described as a pore (lower vertical part of the “T”-shape) and a channel (upper horizontal part of the “T”-shape). The parameter channel_width specifies the distance between the top and the plateau edge. The parameter pore_length specifies the distance between the bottom and the plateau edge. 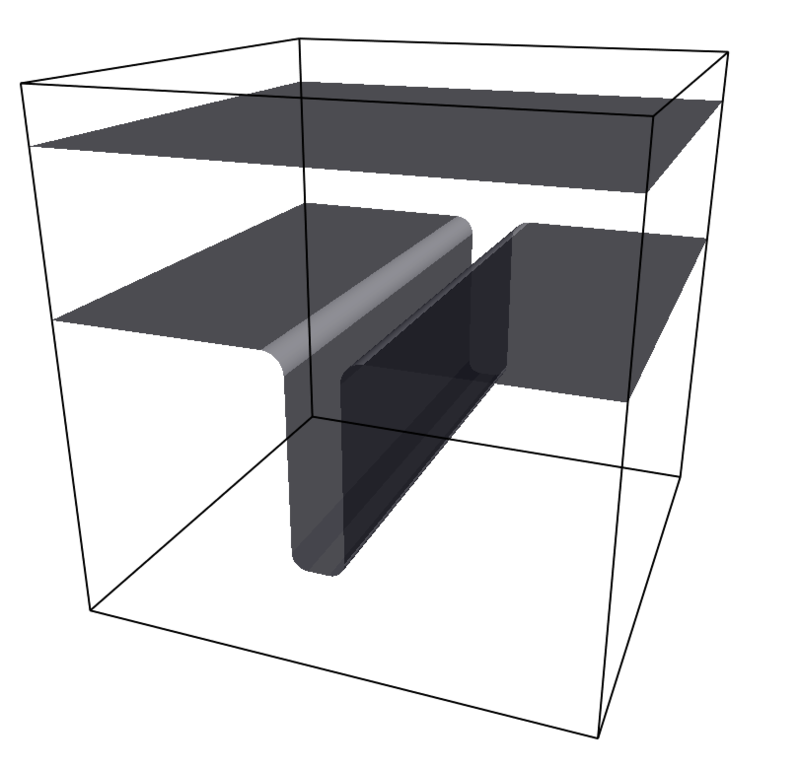 The parameter pore_width specifies the distance between the two plateau edges, it is the space between the left and right walls of the pore region. The parameter pore_mouth specifies the location (z-coordinate) of the pore opening (center). It is always centered in the x-direction. The parameter dividing_plane specifies the location (z-coordinate) of the middle between the two walls. All the edges are smoothed via the parameters upper_smoothing_radius (for the concave corner at the edge of the plateau region) and lower_smoothing_radius (for the convex corner at the bottom of the pore region). The meaning of the geometrical parameters can be inferred from the schematic in Fig. slitpore. 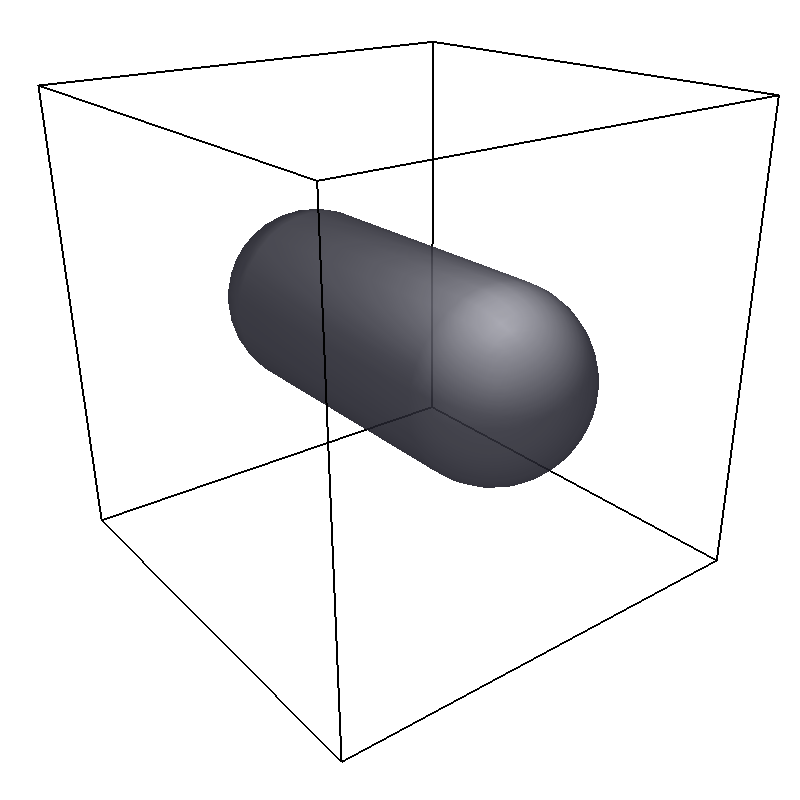 A capsule, pill, or spherocylinder. 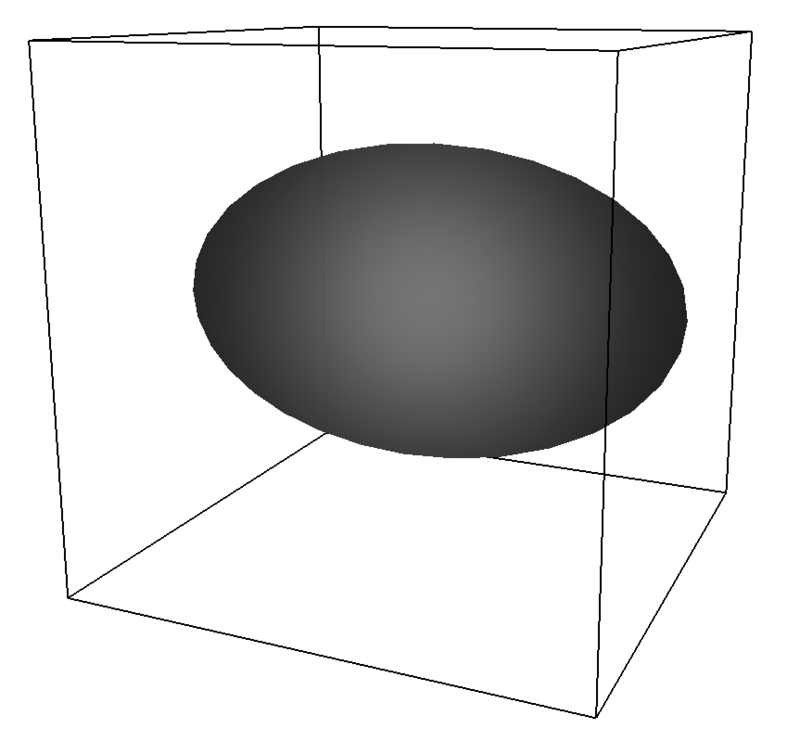 The resulting surface is a cylinder capped by hemispheres on both ends. Similar to espressomd.shapes::Cylinder , it is positioned at center and has a radius radius. The length parameter is half of the cylinder length, and does not include the contribution from the hemispherical ends. The axis parameter is a vector along the cylinder axis, which is normalized in the program. The direction direction determines the force direction, -1 for inward and +1 for outward. The resulting surface is a section of a hollow cone. The parameters inner_radius and outer_radius specifies the two radii . The parameter opening_angle specifies the opening angle of the cone (in radians, between 0 and \(\pi/2\) ), and thus also determines the length. The orientation of the (cylindrically symmetric) cone is specified with the array_like parameter axis, which points in the direction of the symmetry axis, and does not need to be normalized. The position is specified via the array_like parameter center and can be any point in the simulation box. The width specifies the width. 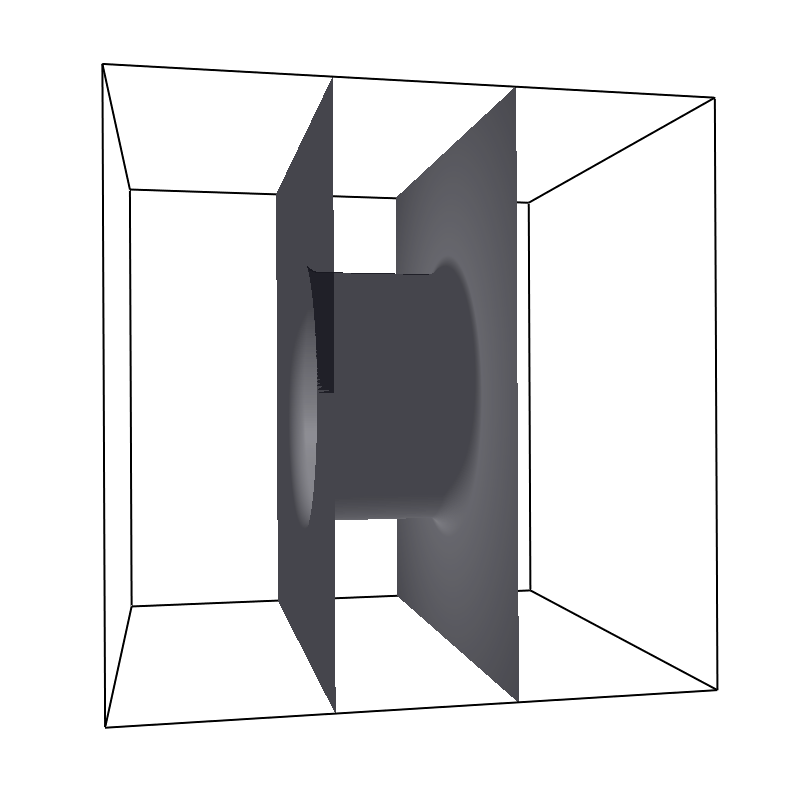 This shape supports the direction parameter, +1 for outward and -1 for inward. For the shapes wall; sphere; cylinder; rhomboid; maze; pore and stomatocyte, constraints are able to be penetrated if penetrable is set to True. Otherwise, when the penetrable option is ignored or is set to False, the constraint cannot be violated, i.e. no particle can go through the constraint surface ( ESPResSo will exit if it does). There are some options to help control the behaviour of shaped-based constraints. Some of the options, like direction need to be specified for the shape espressomd.shapes, and some options are specified for the constraint espressomd.constraints.ShapeBasedConstraint. We will discuss them together in this section in the context of a specific example. The direction option typically specifies which volumes are inside versus outside the shape. Consider a constraint based on the sphere shape. If one wishes to place particles inside the sphere, one would usually use direction=-1, if one wishes to place particles outside, one would use direction=1. In this example, we place a sphere centre at position (25,0,0). A particle is continuously displaced on the x-axis in order to probe the effect of different options. For this, we need to first define a repulsive interaction between the probe and the constraint. 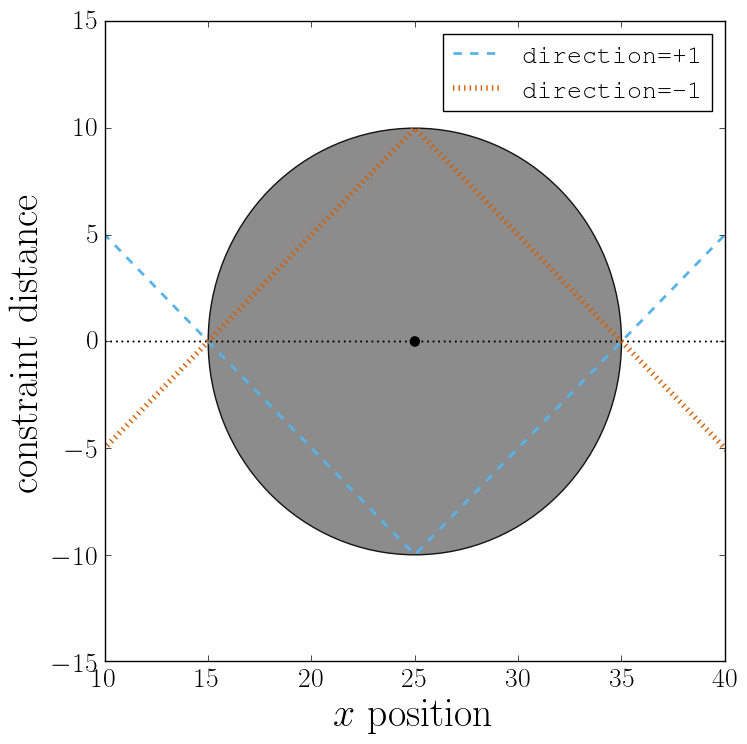 The plot below demonstrates how the distance between the probe and the constraint surface is calculated when the distance option is toggled between direction=1 and direction=-1. In the plot, a schematic of a circle centered at x=25 is used to represent the spherical constraint. When the option direction=1 is used for the sphere shape, positive distances are measured whenever the particle is outside the sphere and negative distances are measured whenever the particle is inside the sphere. Conversely, when the option direction=-1 is used for the sphere shape, negative distances are measured whenever the particle is outside the sphere and positive distances are measured whenever the particle is inside the sphere. In other words, this option helps defines the sign of the normal surface vector. For now, this may not sound useful but it can be practical when used with together with constraint options such as penetrable or only_positive. In the former case, using non-penetrable surfaces with penetrable=0 will cause ESPResSo to throw an error is any distances between interacting particles and constraints are found to be negative. This can be used to stop a simulation if for one reason or another particles end up in an unwanted location. The only_positive constraint option is used to define if a force should be applied to a particle that has a negative distance. For example, consider the same probe particle as in the previous case. The plot below shows the particle force with only_positive=1. Notice that when the distance is negative, forces are not applied at all to the particle. Thus the constraint surface is either purely radially outwards (when direction=1) or radially inwards (when direction=-1). Note that in both cases the constraint was set to be penetrable with penetrable=1 or else the simulation would crash whenever the particle was found in any location that yields a negative distance. The next figure shows what happens if we turn off the only_positive flag by setting only_positive=0. In this case the particle is pushed radially inward if it is inside the sphere and radially outward if it is outside. As with the previous example, the constraint was set to be penetrable for this to make sense. Most shapes have a clear interpretation of what is inside versus outside with the exception of a planar wall. For this, the is no direction option, but the normal vector of the wall points in the direction that is considered to yield positive distances. Outside its use in constraints, shapes can also be used as a way to define LB boundary nodes. In this case, negative distances define nodes which are part of a boundary, please refer to Using shapes as lattice Boltzmann boundary. Calculates a spring force for all particles, where the equilibrium position of the spring is at and its force constant is . A more flexible trap can be constructed with constraints, but this one runs on the GPU. There is a variety of external fields, which differ by how their values are obtained and how they couple to particles. a detailed description can be found in the class documentation. please be aware of the fact that a constant per particle force can be set via the ext_force property of the particles and is not provided here. The values of these fields are obtained by interpolating table data, which has to be provided by the user. The fields differ by how they couple to particles, for a detailed description see their respective class documentation.